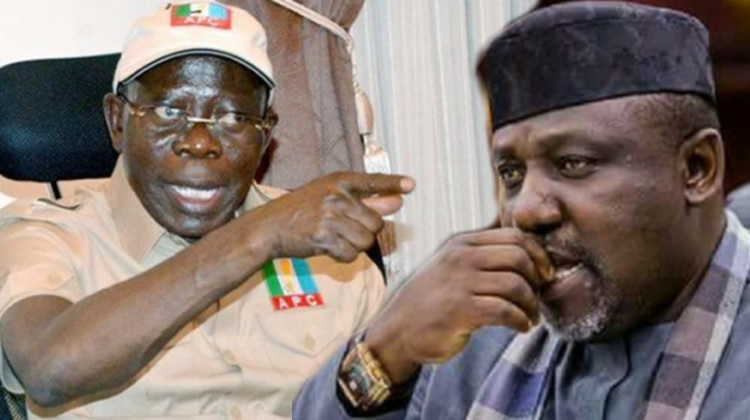 The All Progressives Congress (APC) yesterday spoke on Independent National Electoral Commission (INEC)’s decision not to issue Certificate of Return to Imo State Governor Rochas Okorocha. The party said it has no interest in the issue because Okorocha is under 'suspension'. National Publicity Secretary Mallam Lanre Issa-Onilu said at an interactive session with reporters that the governor has also not informed the party of the problem he is having with the electoral management body probably because he is aware of his suspension. INEC had said it will not issue Certificate of Return to Okorocha, because, according to the commission, he was declared winner under duress by the Resident Electoral Commissioner in the state. 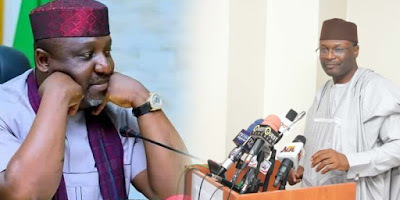 Asked whether the party planned to intervene in the matter, Isa-Onilu said Governor Okorocha is still under suspension, adding that until such is vacated, the party will not intervene. “On the refusal of INEC to issue Certificate of Return to the governor, who was announced winner of the Imo West senatorial ticket, this party cannot take any action. Don’t forget that he is on suspension and as far as this party is concerned, that situation remains because there is no way we can say that somebody is on suspension and still go ahead to intervene in his case.